Q1-2019 Healthcare IT Update– With the introduction of the 2019 transparency law requiring hospitals to list standard prices online, companies have turned towards M&A to achieve simplified, personalized, and interconnected solutions for tracking and transparency. Q4-2018 Healthcare IT Update– As we transition into 2019, healthcare providers will continue to require a sophisticated blend of tools and capabilities across analytics, care delivery, and patient engagement to adapt to the value-based care model. 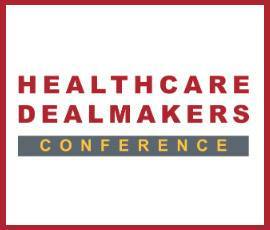 Provident expects healthcare IT deal-flow to remain steady as companies utilize M&A in order to facilitate the transition towards value-based care. Q3-2018 Healthcare IT Update– While start up funding has continued to accelerate, already surpassing the 2017 funding total of $5.7B, merger and acquisition activity has remained stagnant. As some of these early stage companies begin to mature, Provident expects the number of exits to drastically increase, providing ample investment opportunity for both strategic and private equity investors.